Salvation is such an amazing gift that is offered to all who are far off from God. We can be reconciled and forgiven, which if you stopped there is great news… but God goes even beyond that to offer us a family. Adoption. Adoption into God’s family. Amazing grace! For quite some time, I have felt deeply and resonated with the impact of my spiritual adoption. It has moved from being a concept on the pages of Scripture to a reality that influences my understanding of life and the way that I live it. All these words surrounding adoption – belonging, chosen, family, heir, son, inheritance are so rich in theology. To become a son/daughter of the King is life-changing to say the least. And so the journey began. What would James 1:27 look like for our family? I brought that question back to Brooke and we began to talk and pray. Fast forward to December of 2011 when God allowed our whole family to travel down to Nicaragua on a mission trip together. One of our days we were invited to join another team to travel up to Remar Orphange in Veracruz to take the orphans Christmas shopping and put on a Christmas party. We had no idea what was in store… we also had no idea who would capture our hearts. 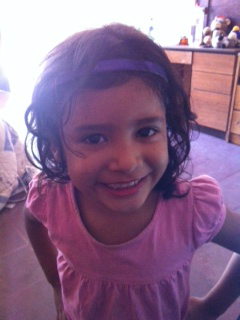 Ligia (LEE-he-uh) was one of the many orphans who live at Remar for various reasons. At that moment all we knew was she needed a loving home and we began to wonder if ours could be the one for her. And so the process began. And to save you the details, we’ll just say it has been a process. In July, I was able to meet with our Nicaraguan lawyer and also Mi Familia (think Department of Children and Families) and present our case. Up until this point it had been a series of green lights followed by some red lights. When I arrived, we were sitting at a red light (with lots of red tape as well). But God really gave me the words to say and our case was re-opened. Mi Familia had granted us the ability to continue to pursue Ligia for adoption pending she could officially be declared abandoned. I really left hopeful and called to share the good news with the Brooke and the boys. Upon my return to the States, the process continued with a bit greater pace. We prepared documents and met with our agency here in the States. It was then that some of the nervousness hit as we realized, “This could really happen!” We definitely felt unprepared in many ways, but also very confident in what God was calling us to in this journey. 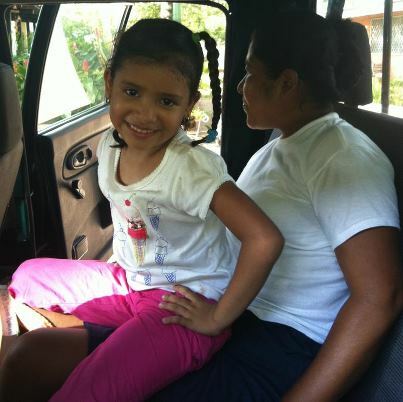 Well, it was over a month ago that we received a message from a friend of ours who was actually down at Remar Orphanage in Nicaragua and told us that Ligia was being picked up by a family member and was leaving the orphanage. She snapped this picture of her leaving and emailed it to us. In that moment, I didn’t know what to think or feel. There was definitely a sadness and a feeling of loss… but after a few days of prayer and processing I realized that our losing was really winning. We can only assume that our pursuit of Ligia caused one of her relatives (we believe an aunt) to step up and volunteer to take her in. Since we are trusting in God’s plan for this little girl and believe that He loves her and knows much more what is best for her life – that His plan is good. Our prayer has become that she will receive the love she so desperately needs and will feel a part of her new family. Of course, we are also praying that she will meet Jesus and one day have a new spiritual family as well. As for what is next… we aren’t sure, but we know God is. Our heart and passion to adopt is still very much alive so we are patiently waiting on His timing!